These days an architecture bureau website has to be exceptionally modern and stylish, not to mention functional. 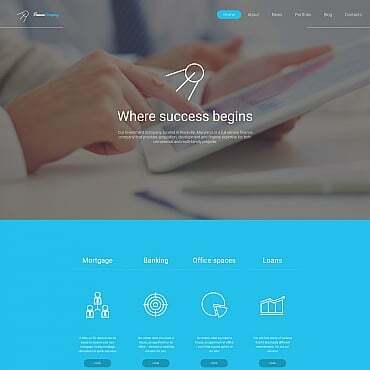 This responsive website template offers just that. This art gallery WP theme offers an impressive hero header slider and video background, plus a great deal of useful features to help you create the most user friendly web presence. Hair salon or dandy barbershop is going to get a stylish and modern online presence if it's built with this responsive web template that features a stunning hero header, drop-down menu and every other amazing feature you might want. Amazing landing page for a seriously sophisticated online business. Modern and minimalistic design with full width photo background will make a great addition to a business website. Interactive race film to promote the new Peugeot 308 GTi Sport. Minimalistic design, modern colors and simple installation and customization processes are the key features of this responsive Moto CMS 3 template for insurance companies. Not only is this premium WP theme fully responsive and cross-browser compatible, it also is very functional and stylishly designed. Your customers will love how user friendly it is! Modern design, responsive layout with comprehensive content arrangement, animated effects and full-screen photo backgrounds - these are just the tip of the iceberg. Check out the live demo to see it all! This Industrial WordPress theme comes equipped with Cherry framework and is fun and easy to customize. Make sure to take a look at the live demo to see every detail in action! This responsive WordPress theme is a professionally created design for a transportation, shipping or logistics company. Designed with contrasting colors and full of amazing features, this WP theme is definitely worth a closer look at. Relive the moments and the music that made 2015 one to remember with Spotify's Year in Music. A fashion online store has to be especially stylish, modern and user-friendly. 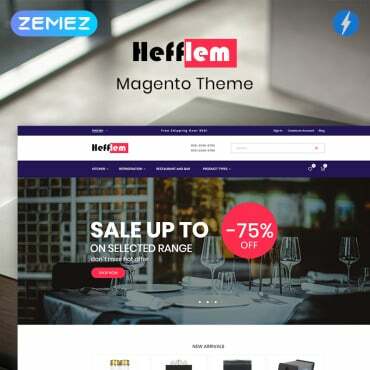 This fashion store Magento layout has each of that features and much more. Do take a look at the live demo! Make sure to look into the live demo of this fitness store OpenCart design, the theme is worth looking at! The features include a number of OpenCart modules and web forms, tooltips, newsletter subscription pop-up and much more. This stylish restaurant email newsletter template is not only fully responsive and cross-browser compatible but also perfectly compatible with every major email client and ready for MailChimp and CampaignMonitor. 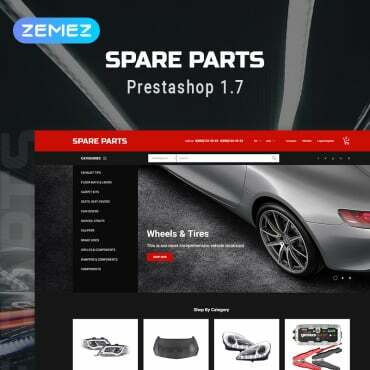 This responsive PrestaShop 1.6 theme is designed to fit a modern furniture online store. The choice of web forms, gallery scripts and functional features is sure to impress. This responsive personal page template is professionally developed to work with Joomla CMS. This Joomla design is full of great features and ingenious design solutions, take a look a t the live demo! Responsive Drupal design for a landscape design company. This modern Drupal layout comes with a number of features that will help you run the business smoothly. Fully responsive Joomla design for a safari park online presence or any other kind of travel website. The theme comes with a number of Joomla modules and features that will make your online life that much easier. This stunning WP layout is compatible with the Monstroid multi-purpose theme, and as such has every amazing feature Monstroid has to offer. Make sure to visit the live demo, you'll be impressed!